I decided to take a little break from the Prescott trails with some road running to build up my capillary beds. Copper Basin runs from southwest Prescott west into the Prescott National Forest. 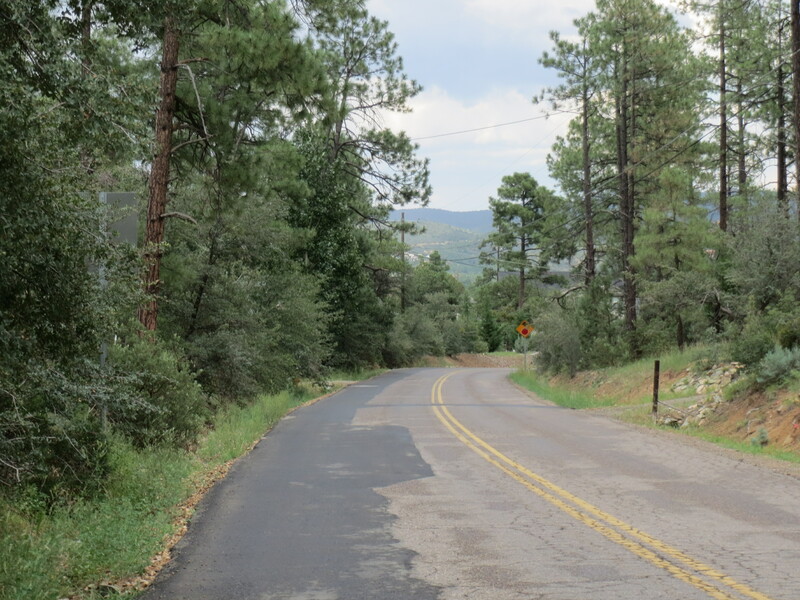 The road is paved for the first 3 miles then turns to dirt roads as it winds up over the Sierra Prieta mountain range. This run pushes your Vo2 Max as you make a 750 elevation gain within the first 3 miles. Lol, I just got a new Canon PowerShot ELPH 520 with Intelligent IS which analyzes camera movement and applies the best shake correction, so I actually took those photos while I was running, although I slowed down a bit.